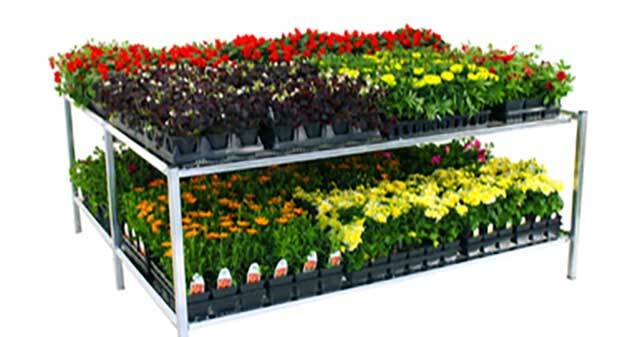 Double Benche Display, With 72 square feet of bench area, this display gives you room to grow—and profit. Add the optional "Y" purlin and you'll gain an impressive 24 feet for hanging baskets. 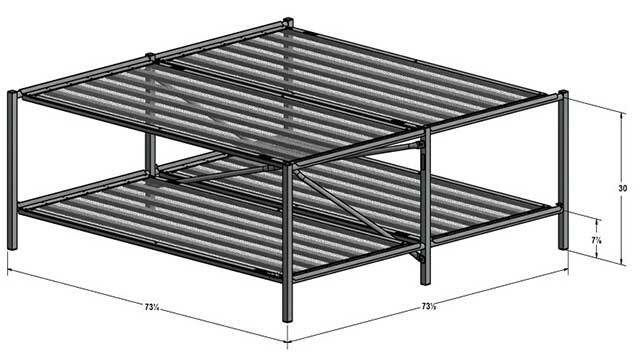 Like many of our other units the Double Benche Displa features tool-free assembly, galvanized steel construction, and our patented shared end support system for extended runs.